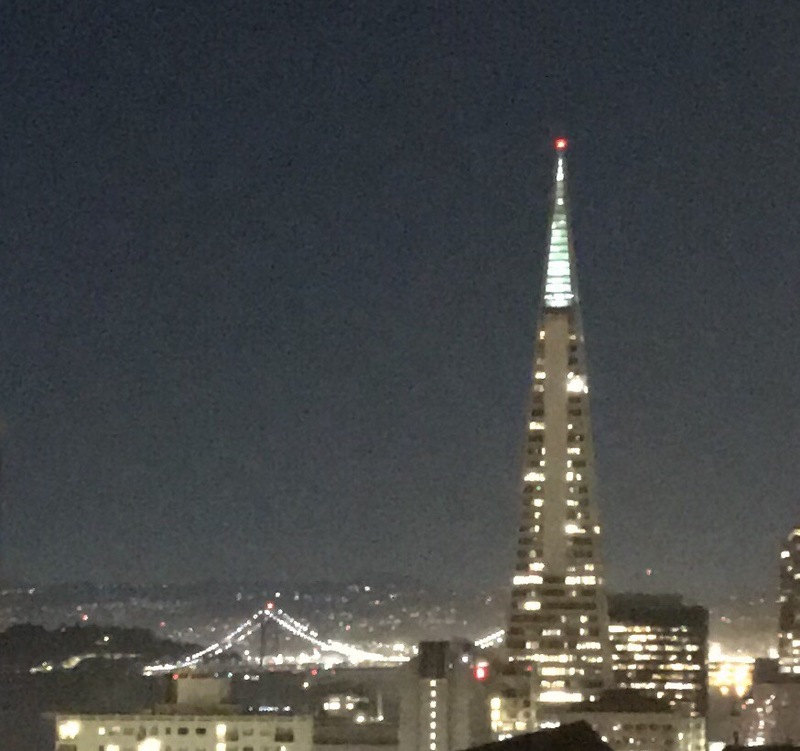 Day or night, I go up to the penthouse, and I look to the East and take in the beautiful view of San Francisco’s skyline. This is my favorite landmark in the entire city. You can have the Golden Gate Bridge and the sun setting at Ocean Beach — those are nice views; but, this view, the view of the Bay Bridge, the Trans America Pyramid, and the ocean…well, that’s just a helluva treat for my eyes and many others that visits me at Eagle’s Nest. Tonight, 6-October-2017, at 2121 Hours PDT, I look at this view; I reflect upon my life; and, I cross myself and thank the Trinity for my truly blessed life — I have no complaints nor regrets — I’ve lived my life doing things my way; and, because, I have a blessed life, I fully take credit for every single thing I said, wrote, and acted; because, I did it my way — I apologize for nothing in my past, and I hope, the Trinity willing, I will fly high and super duper fast and apologize for nothing in my future. 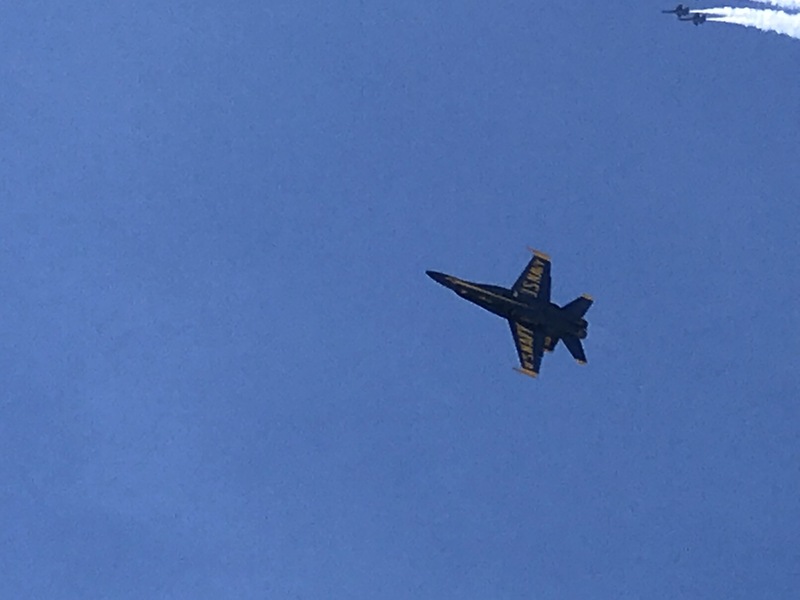 Life is good — the Blue Angels are in town, and my favorite military branch, the US Navy, is taking shore-leave in San Francisco — it just doesn’t get better than that. Thank you ladies and gentlemen of the US Navy for protecting me and my liberties as an American. My father served 25 years in the US Navy; hence, I know the sacrifices you’re making now in your lives. Because of y’all and my pappy, I have the freedom and comfort to enjoy this beautiful night. Thanks US Navy and other military branches for making and keeping America Great! Next Post Alfonso Faustino: 2017 San Francisco Fleet Week: Blue Angels: My Crib!